Via and Geely forge agreement: Via Motors and Zhejiang Geely will be launching plug-in hybrids and all-electric com mercial vehicles, starting with a medium-duty extended range electric truck. Via Motors now has an agreement with China-based Zhejiang Geely New Energy Vehicle Co. Ltd., a subsidiary of Zhejiang Geely Commercial Vehicle Group. Geely is one of the largest automakers in China. The joint venture will tap into Via’s proprietary vehicle software and systems control technology “to meet the demanding duty cycle and performance requirements of commercial vehicles,” said Nathan Yu Ning of Zhejiang Geely Holding. Cutting down cost of hydrogen: Southern California Gas Co. is part of a partnership development team converting natural gas to hydrogen, carbon fiber, and carbon nanotubes (CNTs) to reduce the cost of hydrogen production. The partnership, which is being led by C4-MCP, LLC, a Santa Monica, Calif.-based technology business, will analyze offsetting hydrogen’s net costs with the sales of carbon fiber and CNTs. The U.S. Dept. of Energy’s Pacific Northwest National Laboratory and West Virginia University will be part of the federally funded project. It will create hydrogen for fuel cell vehicles, along with carbon fiber applications such as what’s being used in medical devices and building products. The technology is also credited with nearly eliminating carbon emissions from the methane-to-hydrogen process. Waymo going to Atlanta: Alphabet’s Waymo self-driving unit is adding another city to its testing roster, Atlanta. The company will run its Chrysler Pacifica minivans, but didn’t offer more details. The company began mapping downtown Atlanta last week for its test runs. Waymo has already tested ints autonomous minivans in 24 cities across the U.S. Most of its testing is taking place in Phoenix, Mountain View, Calif., Austin, Detroit, and Kirkland, Wash.
NYC may enact congestion fees: New York City is preparing to become the first U.S. city to adopt charges for traffic congestion and air pollution from its crowded streets. The state’s “Fix NYC” task force could create an $11.52 charge for passenger vehicles, $25.34 for commercial vehicles, and between $2 and $4 per trip for taxis and ride-hailing companies. The price zone would cover Manhattan south of 60th street, and free entrance into Manhattan for drivers crossing all but two of the city-owned East River bridges. New York City would be joining other metros like London, Milan, Stockholm, and Singapore that have enacted similar charges. China is taking similar actions to address thick traffic congestion and severe air pollution. Manhattan is known for some of the worst traffic in the nation, with average speed in the Midtown area estimated to be at 4.7 miles per hour. 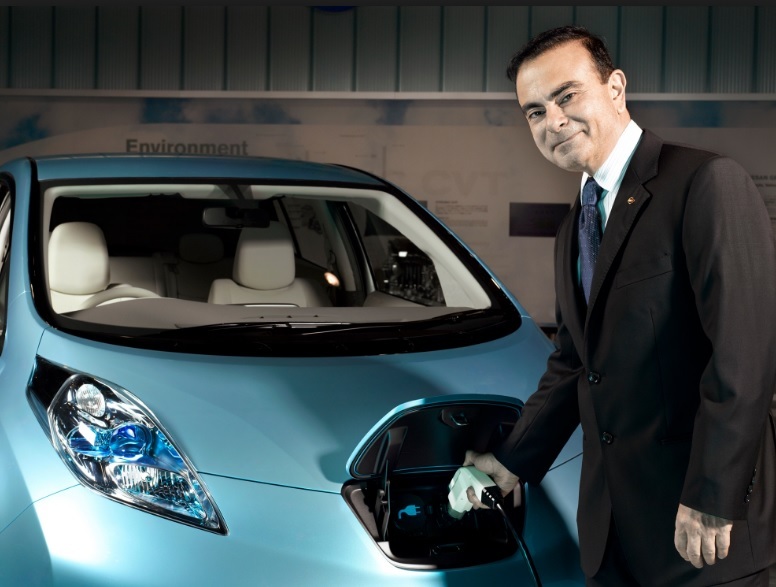 Infiniti and Porsche electrifying offerings: Product announcements last week from Nissan’s Infiniti luxury brand and Volkswagens’ Porsche division tap into consumer interest in electric luxury, performance cars and compliance with increasing government mandates. Infiniti aims to become the premier electrified brand in a five-year plan that will extend through 2022, said Nissan CEO Hiroto Saikawa. These new Infiniti models will either be all-electric or will use its “e-power” hybrid system. Infiniti said it will introduce its first all-electric vehicle in 2021. 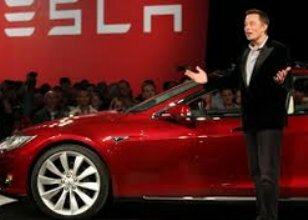 The luxury brand expects that more than half of its global vehicle sales will be electric vehicles by 2025. Half of all Porsche models will have some form of electrification by 2023, said North American CEO Klaus Zellmer last week while speaking at the annual Automotive News World Congress in Detroit. The product lineup will include model offerings that may include hybrid, plug-in hybrid, or battery electric drivetrains. It will include the Mission E all-electric performance car, which is slated to come out next year. While the sales success of the Tesla Model S and Model X have had their influence, Volvo is playing a role in the luxury/near-luxury market. In July 2017, the company announced that it will be electrifying all of its new vehicle offerings starting in 2019. Five all-electric models will come out between 2019 and 2021, three under the Volvo brand, and two under Polestar. Volvo Cars will also be tapping into an innovative subscription service to bolster sales support for its new Polestar performance electric brand. 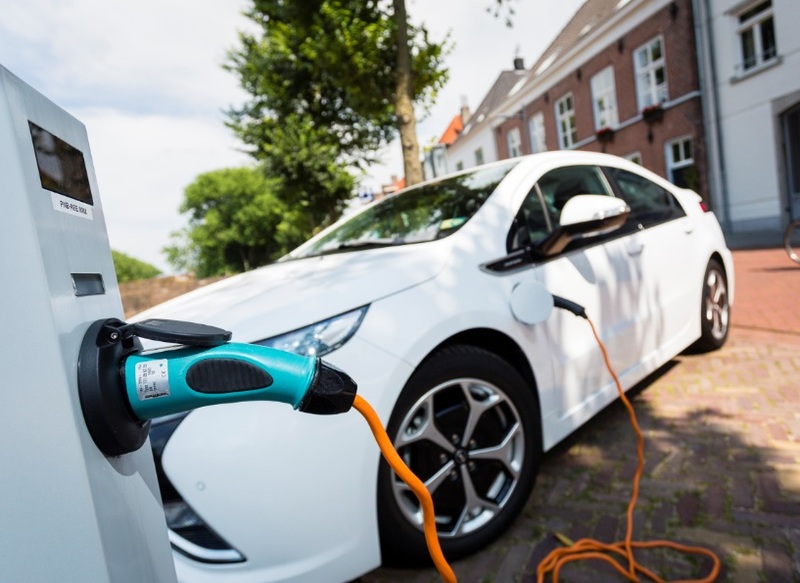 Hedge fund for EV technology: A UK-based investor is setting up a hedge fund backing companies offering products and services in electrified transportation. Will Smith, a former partner at CQS U.K., is starting the Westbeck Electric Metals Fund that’s expiated to start trading next month and raise about $250 million, according to Bloomberg News. 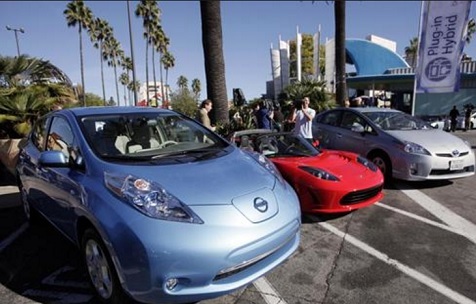 Major automakers are looking into alternative funding sources to secure needed resources such as metals needed to produce electric car batteries. The fund is looking at investing in more than 200 companies, and has tapped into a former CEO of a lithium company as an adviser. Motor City getting more EV plants: Electric vehicle truck maker Bollinger Motors said it has plans move its operations from upstate New York to Detroit. Company founder Robert Bollinger visited sites in Detroit during last week’s auto show. Originally looking at property along the I-75 corridor, he decided moving inside the city would be a better move. One advantage would be locating closer to where “the talent” lives, as well as suppliers. 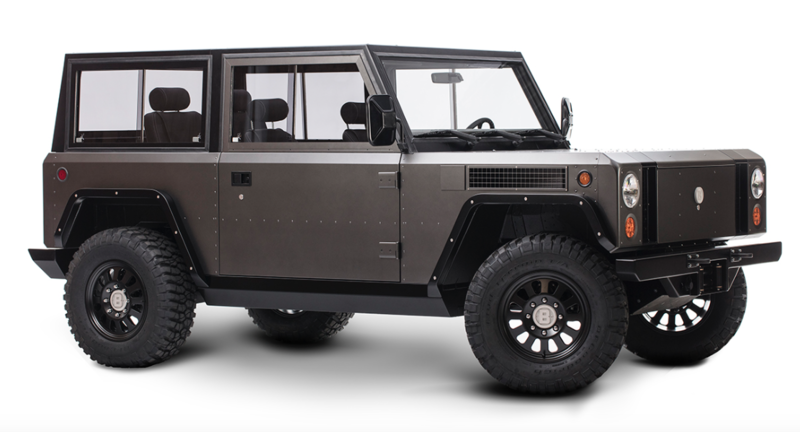 Bollinger Motors, which unveiled its battery electric sport-utility/truck last year, will need a facility somewhere between 15,000 to 20,000 square feet to set up the assembly plant. 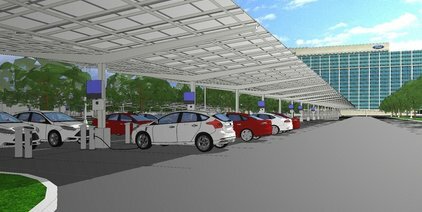 One other EV makers has already chosen Detroit for its headquarters. The Detroit Electric Co., named after one of the original electric car manufacturers that closed its shutters during the Great Depression, has committed to set up a factory capable of producing about 2,500 vehicles each year. standards between its departments and with the state of California will be clarified in weeks ahead. National Highway Traffic Safety Administration Acting Administrator Heidi King said Tuesday at the Detroit auto show that a proposal would be released on March 30 with new fuel economy standards for light duty vehicles. 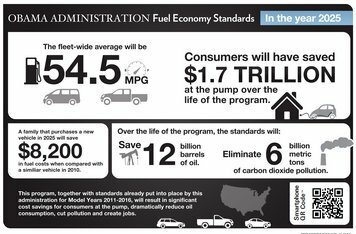 President Donald Trump last year reinstated a review of NHTSA and Environmental Protection Agency rules for fuel economy and emissions to cover model years 2022 through 2025, which was part of his campaign to cut federal regulations. 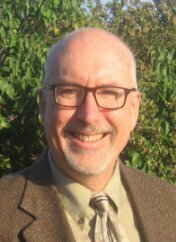 News of more talks between California and the Trump administration also came out this week. California Air Resources Board will be meeting in Washington this month with federal officials in an effort to reach agreement on phase two revisions that could sort out differences and avoid legal battles between automakers, the White House, and California. Infiniti electrifying most of its upcoming cars: Infiniti is joining Volvo and other near-luxury and luxury brands by electrifying its fleet by 2021 (with the exception of a few large SUVs). For these models, the company isn’t specifying whether it will include hybrids, plug-in hybrids, and batter electric vehicles in the electrified lineup. It will include BEVs that will have at least 200 miles of range, according to Infiniti and Nissan CEO Hiroto Saikawa. That range would be slightly farther than the new Leaf can go from parent company Nissan. “We are trying to position Infiniti as the premier electrified brand” as part of the five-year plan that will extend through 2022, he said. On-demand mobility a very tough business to succeed in: Another sad tale is being told in the less-than-a-decade old business of on-demand mobility. See Jane Go, a ride- hailing app for women riders transported by women drivers, closed its shutters on Tuesday, January 9. 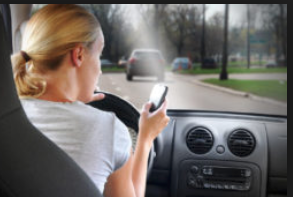 The service was created by Laguna Niguel, Calif., residents Savannah Jordan and her father, William Jordan, in 2016 to offer women a safer alternative in the ride-hailing market. Just as Facebook has inspired hundreds of social networking startups targeted to special interests, mobility services are seeing a wave of specialized services emerge. You can have your kids picked up and taken home after their music lesson. Someone else can do all your grocery shopping that will be delivered to your front door or kitchen. Meals can be delivered quickly and cheaply to you at home, work, or a social gathering. Then there’s always the Uber and Lyft model of having convenient, quick, affordable rides – taking away the hassles of being stuck behind the wheel in traffic and having to find a parking space. Ride-hailing giant Uber has been the Facebook of mobility, following its beta launch in 2010 and San Francisco rides starting up in 2011. The past year has been a near-death experience for Uber, with newly hired CEO Dara Khosrowshahi now expected to revive the company. Navigant Research recently published an analysis piece comparing the challenge Netflix faces competing with Disney to what companies like Uber and Lyft face compared to global automakers. Netflix is burning through a great deal of cash in creating its own catalogue of films and TV series to compete. 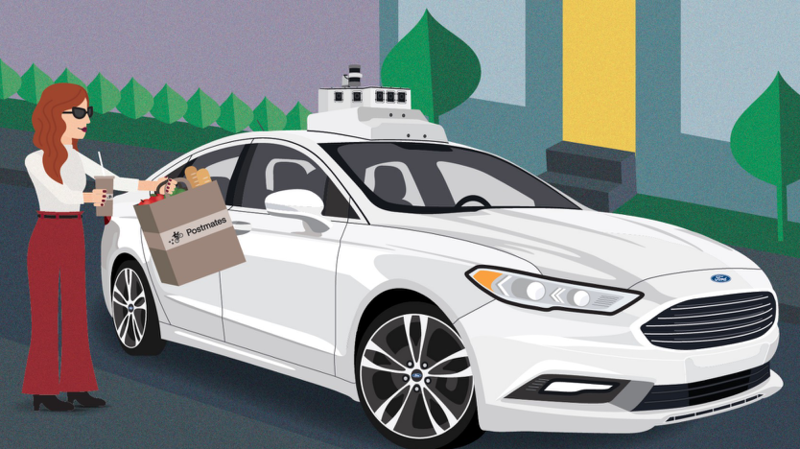 Uber faces competition from companies like General Motors, Volkswagen, Daimler, and Ford, which are starting up and acquiring their own mobility service business units. Green Auto Market Extended Edition subscribers this week can view a study on where 10 leading mobility companies stand with investors in the number of funding rounds and total funding amount raised so far. Companies reviewed include Airbnb, Didi Chuxing, DoorDash, Gett, GrubHub, HopSkipDrive, Instacart, Lyft, Postmates, and Uber. $90 billion on EVs: Ford Motor Co. on Sunday said it’s more than doubling its investment in vehicle electrification to $11 billion. It will be part of $90 billion that global automakers have committed to spending on electric vehicles, and that total is still growing. That will include at least $19 billion by automakers in the U.S., $21 billion in China, and $52 billion in Germany, according to a Reuters analysis. U.S. and German automakers said in interviews at the Detroit auto show that most of the investments are earmarked for China, where escalating EV quotes will be staring in 2019. 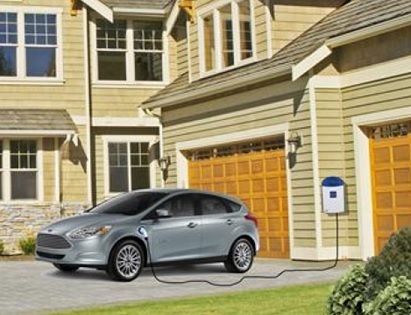 Ford executives just announced that 40 electrified vehicles will be launched by the company by 2022 – 16 battery electric and 24 will be hybrid or plug-in hybrid. 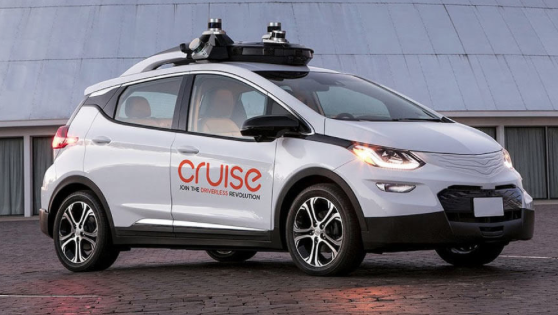 Autonomous vehicle federal guidelines: New federal guidelines will be introduced this summer, expanded to include autonomous trucking, infrastructure, transit, and other industries affected by self-driving vehicle technology. Transportation Secretary revealed the DOT’s plans during a Sunday speech prior to the start of the 2018 Detroit auto show. The Obama administration’s Safety Assessment Letters have been kept in place, asking automakers and tech companies to release information on testing their autonomous vehicles. Chao sees General Motors’ recent announcement launching a robotaxi fleet next year as being possibly viable. 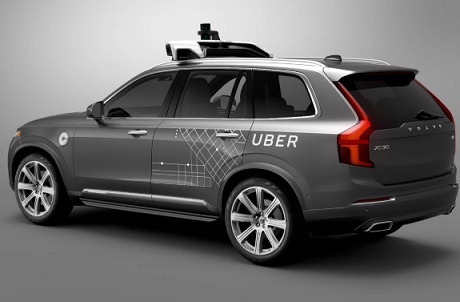 “With the rapid advancement of the self driving technology, this request is now a reality. We will view the petition carefully and responsibly,” she said. 50th anniversary of Bullitt’s Mustang: Ford Motor Co. has launched a 50th anniversary edition version of the Ford Mustang in tribute to the most famous car chase scene ever. In the 1968 film “Bullitt,” San Francisco Police Department Lieutenant Frank Bullitt spots two mob hitmen in a 1968 Dodge Charger tailing him in his 1968 Ford Mustang GT. He ends up turning the table on the hitmen, and pursues them on a high-speed chase through the streets of San Francisco, as the muscle cars leap over hills. It ends with the Mustang forcing the Charger off the road and into a gas station, where it explodes in a fireball. Bullitt star Steve McQueen’s granddaughter Molly appears in a short movie tribute that was introduced at the Detroit auto show. 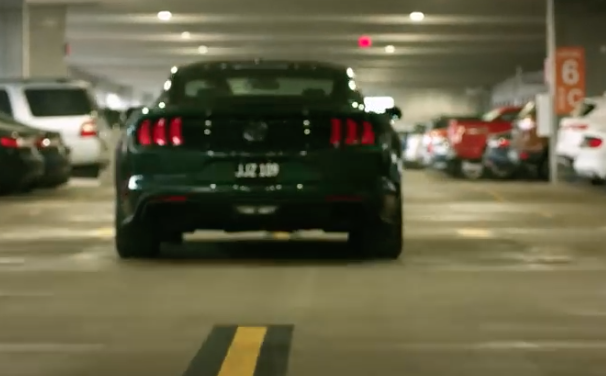 Molly drives her new third-generation Mustang through a parking structure, battling two men in a Dodge Charger for the final space. Molly guns the Bullitt to win the space with its upgraded 5.0-liter V8 engine that can go up to 475 horsepower and 420 lb-ft. of torque. It can reach a top speed of 163 mpg, an 8 mph increase over the latest Mustang GT. She also gets to sit in the actual 1968 Ford Mustang GT that her grandfather drove. It was one of two versions of the Mustang used in the film. The stunt double version had been recovered in early 2017 in Baja, Calif. The other version that had been driven by the actor recently showed up again for the first time in nearly 50 years. Owner Sean Kiernan had inherited McQueen’s Mustang in 2014 from his late father, Robert, who had purchased it in 1974. Kiernan contacted the automaker in time for it to be shown alongside the 2019 Mustang Bullitt at the 2018 North American International Auto Show in Detroit. Core themes announced for ACT Expo: Organizers of the Advanced Clean Transportation (ACT) Expo announced the core themes for this year’s event, to be held April 30-May 3 at the Long Beach Convention Center. The six core agenda themes planned for the 2018 ACT Expo are: trucking efficiency for reducing the cost burdens of a trucking fleet; connected vehicle technologies; commercial electric vehicles; alternative fuels; urban mobility through congested, polluted cities; and goods movement. Keynote speakers and panelists will explore issues such as fuel efficiency improvement strategies and drivetrain electrification will be key focal points, set against the backdrop of increased use of alternative fuels, innovative powertrain solutions and economic and environmental fleet sustainability. The ACT Expo show floor will give attendees hands-on access to the wide range of advanced clean transportation solutions available. BYD SkyRail: BYD has launched an autonomous driving system for its monorail – BYD SkyRail in the city of Yinchuan in northwest China. The system, a BYD creation, is combined with Huawei’s proprietary 4.5G eLTE technology to offer seamless connectivity that allows data to be transmitted securely, while ensuring a safe ride for passengers. It signifies an upgrade for the SkyRail which was first made public in October 2016. At level 4, the vehicle is now fully autonomous and capable of performing safety critical driving functions. Ford accused of cheating on emissions report: Ford’s F-250 and F-350 Super Duty diesel pickups sold from 2011 to 2017 are releasing emissions as much as 50 times the legal limit of nitrogen oxide pollutants, according to a lawsuit filed by drivers. This took place after Ford rigged at least 500,000 of the pickup trucks to cheat on emissions test, according to the suit. German supplier Robert Bosch GmbH has also been named in the suit. Bosch has been accused to covering up the actual emissions while working with partner Ford Motor Co. “The vehicle’s own on-board diagnostic software indicates emission control system to be operating as Ford intended, even though its real world performance grossly exceeds the standard,” attorney Steve Berman, a managing partner at Hagens Berman, said in the complaint. 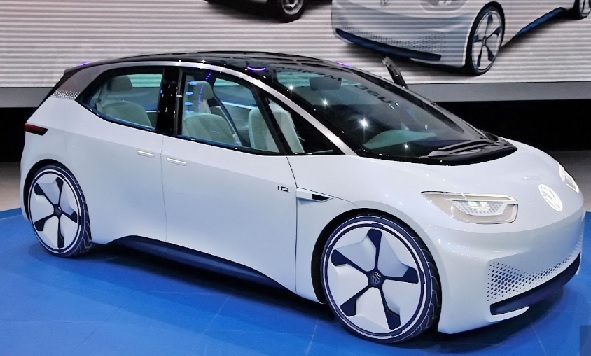 VW e-mobility division: Volkswagen announced that it’s creating an e-mobility division that will be part of the company becoming the leader in mass-production electric vehicles. Thomas Ulbrich will head the new division as he moves over after having been the brand’s production chief. The German automaker has named five core electric vehicle models as the first wave in its ambitious EV strategy. The I.D. hatchback will go on sale in Europe in 2020. The I.D. Crozz crossover will start sales in the U.S. the same year. 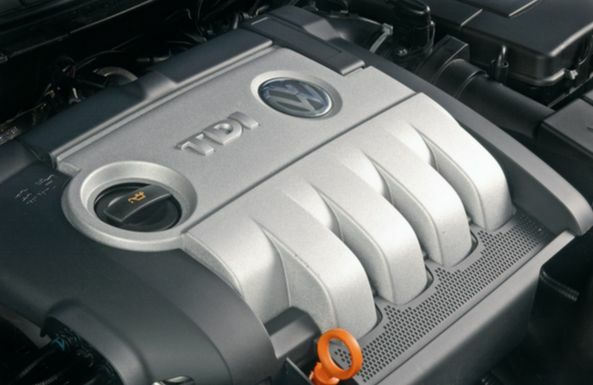 The MEB platform will also be used by VW’s Audi, Seat, and Skoda brands.